THE MAYBELLINE STORY : Maybelline Empire started in gangland Chicago. Maybelline Empire started in gangland Chicago. 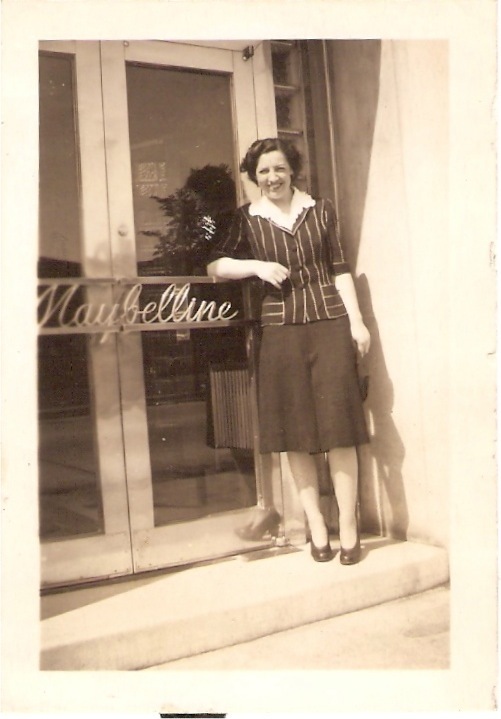 The Maybelline Story opens the doors to a fascinating era in America's history during the 20th Century. 1943 - Executive Secretary to Noel and Tom Lyle Williams, Dorothy Mullander, stands in front of the Maybelline Company's famous Maybelline logo on the double doors leading into the Maybelline building. The Maybelline building was two stories with a basement and three apartments for family members who just got married and were getting on their feet. 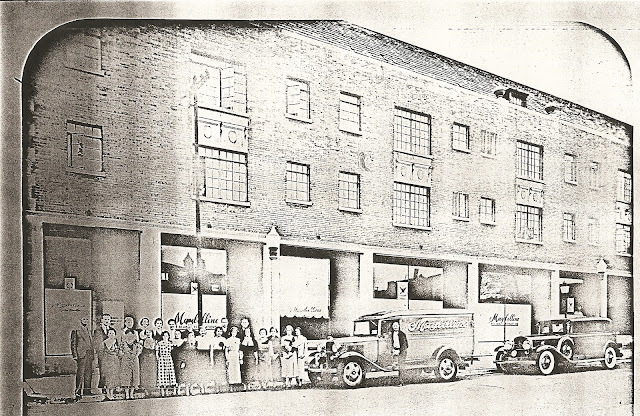 The packaging and distribution center was also located in the basement. The first floor held offices for various secretaries and other workers and the walls were filled with pictures of movie stars who modeled for Maybelline in the pages of world wind magazines. The second floor contained the executive offices for Noel, Tom Lyle, Tom Jr and Rags Ragland. The Maybelline Building was located at 5900 Ridge Ave, at Ridge and Clark, in the heart of down town Chicago where much of The Maybelline Story takes place during the gangster ridden era of prohibition. 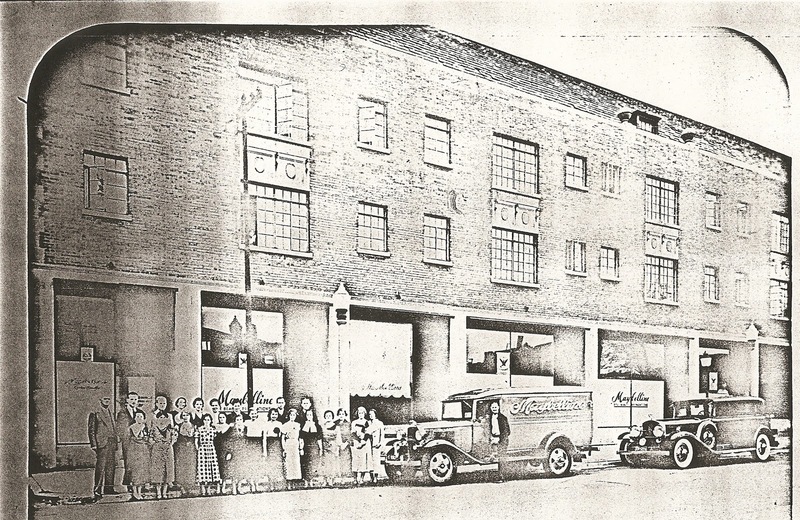 Outside the Maybelline Building 1934. When Maybelline was sold, each employee was given $1,000 for each year they worked at Maybelline. Even those who hadn't been there a full year got $1,000. Uncle Lyle's secretary Dorothy (aka Ducky) ended up with something like $35,000 as did another secretary called Jimmie. Jimmie called Mable to ask her to relay to TL how grateful was that she could retire after she got her $30,000 check. At the time my parents had a bookstore and a former employee came in and told them he was bowled over to receive $8,000. Tom Lyle, Jr. inherited his father's shyness. 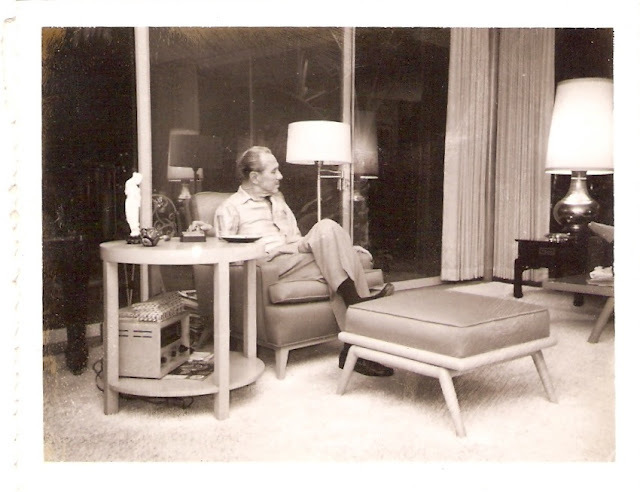 Mable's daughter Shirley worked summers at Maybelline and she said every morning TL Jr. walked briskly to his private office, said a brief hello to everyone and no one saw him again until the end of the day. On the other hand, Noel kept up with all the employees' and their families. The women who worked there loved him dearly and called him Unky. When Tom Lyle died, his niece Shirley got a phone call from TL, Jr.'s lawyer. He said Tom Lyle Jr. was too shy to go downtown to meet with the executor and lawyers and asked Shirley to do it. She went downtown to explain all the family members and their relationships to the family. Good thing she had and still has an excellent memory. (Memories from Mable's daughters, Shirley and Joyce, and her granddaughters, Donna and Linda, who still live in Chicago. TL left a big portion of his estate to the Salvation Army. For many years he rented them space in the Maybelline building for $1 annually. f you enjoyed BOARDWALK EMPIRE, about the Birth, High Times, and Corruption of Atlantic City, the true story that inspired the HBO series you will love the Maybelline Story as well. The same characters that kept you glued to your TV are alive and involved in Chicago's gangster era throughout my book. Also if you loved HBO's Mildred Pierce with it's Hollywood era of the 1930's and 1940's, you will go nuts over The Maybelline Story as well. Click Boardwalk Empire for a peak into the incredible series from the 1920's.